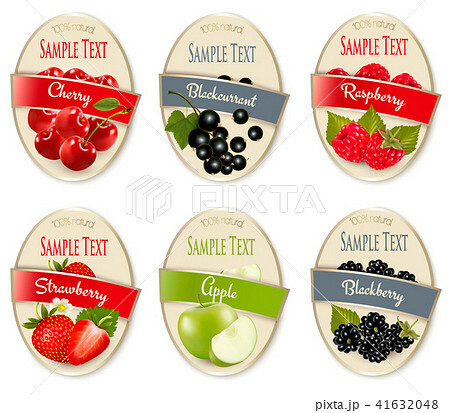 イラスト素材: Set of labels of berries and fruit. Set of labels of berries and fruit. Cherry, blackberry, raspberry, strawberry, apple, black currant. Vector.